If your shop is looking to sell services or products online through Shopify but only to a specific area, Easy Shipping Restrictions can help you out. 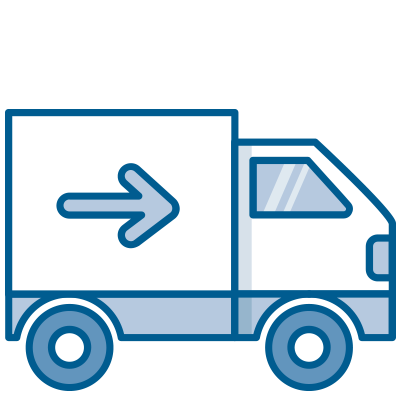 By specifying which postal/ZIP codes you deliver or ship to, Easy Shipping Restrictions can enable you to only allow customers to proceed to checkout if they are in your defined area. 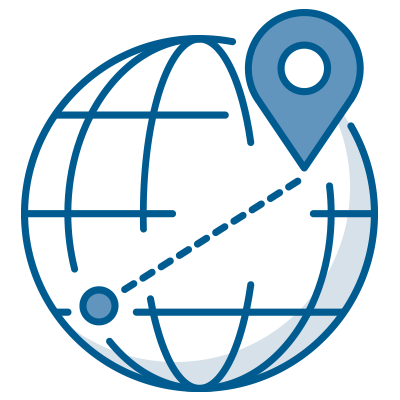 There are two ways to specify postal/ZIP codes in Easy Shipping Restrictions: individually and by using patterns/wildcards. 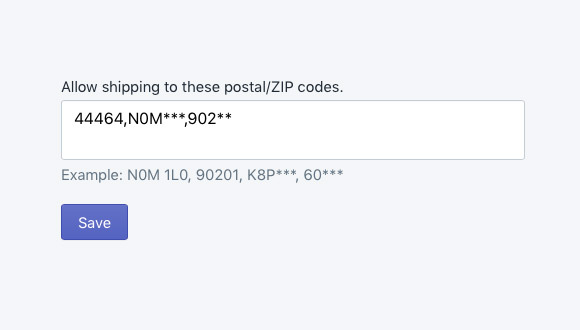 You can add individual postal codes to Easy Shipping Restrictions from within your Shopify Admin. Postal/ZIP codes listed within the app (found under Apps > Easy Shipping Restrictions) will allow customers in those areas to convert their carts into checkouts. 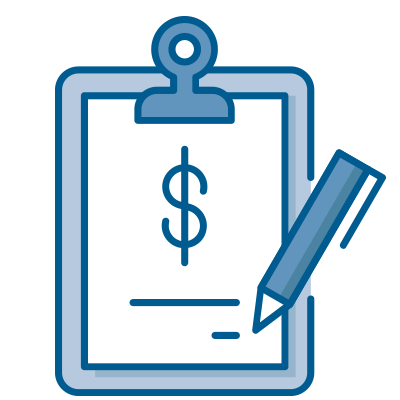 If you are adding a large number of postal/ZIP codes or intend to cover a city or two, using wildcards can greatly help. For example, say you wanted to allow orders to only customers in London, Ontario. You could list each individual postal code but there are so many of them. Instead you can make use of wildcards to allow any postal code starting with NV5 by using NV5***. Dig in more with Easy Shipping Restrictions by having a look at some of the most Frequently Asked Questions we get. Or even better, give Easy Shipping Restrictions a try today (we have a free three day trial). 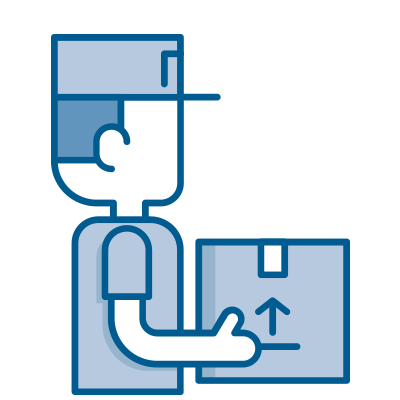 We're here to help you with any issues you encounter with Easy Shipping Restrictions. Contact us via support ticket or SMS, and we'll be sure to get back to you as soon as we can.